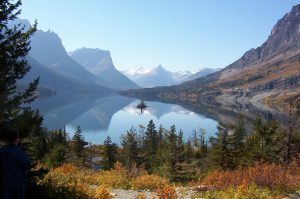 There are 7 entrances to Glacier National Park and only 3 of them connect to the Going-To-The-Sun Road – the only road in Glacier Park that travels over the Continental Divide from west to east – they are the West Glacier Entrance, the Saint Mary Entrance, and the Camas Creek Entrance. The other four entrances to Glacier Park are the Polebridge Entrance, the Two Medicine Entrance, the Many Glacier Entrance, and the Cut Bank Entrance. The main entrance to Glacier Park is the West Glacier Entrance – located just outside the town of West Glacier, MT. This Glacier National Park Entrance is open 24 hours a day all year around. It gives you access to the Going-To-The-Sun Road from the west side of Glacier Park. The Going-To-The-Sun Road opens up mid June (depending on completion of snow removal) and stays open through mid October (depending on the arrival of snow). The Glacier National Park Headquarters are located just outside the West Glacier Entrance, and the Apgar Visitor Center is located just inside this entrance. 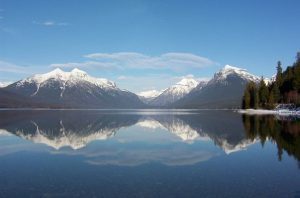 Other points of interest located near this entrance are the village of Apgar, Lake McDonald – the largest glacial lake in Glacier Park, and Lake McDonald Lodge – one of the earliest lodges in Glacier Park built in the early 1900’s. There are also many attractions just outside the West Glacier Entrance, including; Glacier View Golf Course, several whitewater rafting and floating companies, guides for Glacier Park backcountry trips, mini golf courses, water-slides, helicopter tours over Glacier Park, and more. This is the entrance closest to Smoky Bear Ranch (only a 15 minute drive). The Camas Creek Entrance is also on the west side of Glacier National Park but more remotely located than the West Glacier Entrance. To access this Glacier National Park Entrance, you will travel 20 miles up the North Fork Rd (Highway 486) along the western edge of Glacier Park, and turn onto Glacier Route Eight or Camas Creek Road. The first 10 miles of the North Ford Road is paved, the remaining stretch is gravel. You can access Glacier Park 24 hours a day all year around through this gate but is only open for vehicular travel from mid June through mid October depending on snow cover. You can access the Going-To-The-Sun Road from this gate by traveling along the Camas Creek Road to the Apgar Visitor Center. 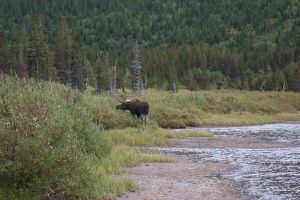 Travel along this road often reveals wildlife, we’ve seen moose, bear, elk, as well and many other wildlife while traveling the Camas Creek Road. You can access the trailhead for Huckleberry Mountain Lookout from this entrance – a moderately strenuous trail with fabulous 360° views. Snowshoeing or cross country skiing from the Camas Creek Entrance is absolutely stunning. This entrance is also close to Smoky Bear Ranch (roughly a 20 minute drive). The Polebridge Entrance is the third Glacier National Park Entrance on the west side of Glacier National Park. It is a remote entrance and used mostly by the locals and hardy visitors. 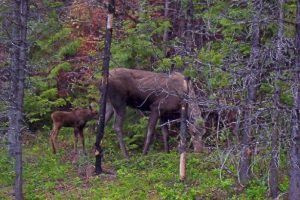 To access this entrance, travel about 35 miles north of Columbia Falls, MT on the North Fork Road (Hwy 486), along the west side of Glacier Park (a mostly gravel road), then turn into the village of Polebridge. At the Polebridge Mercantile, turn left and the dirt road will take you across the North Fork of the Flathead River to the Polebridge Entrance. This entrance will take you to some of the most pristine areas of Glacier Park, i.e. Bowman Lake and Kintla Lake. 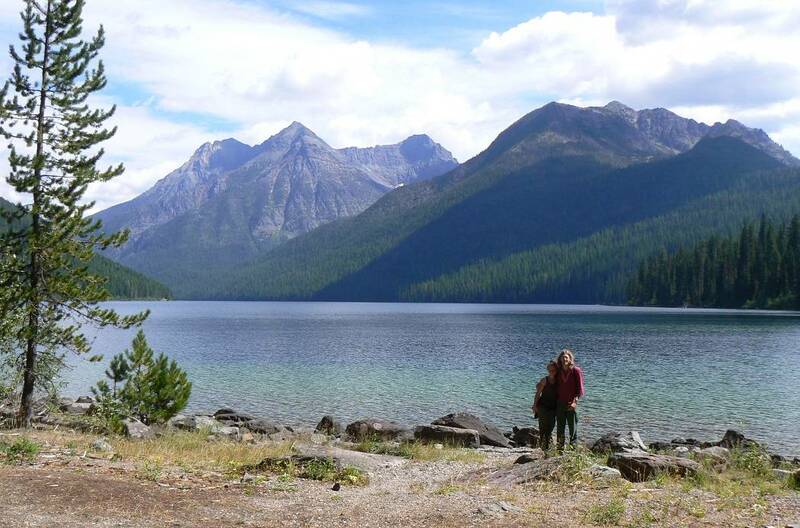 Both of these glacial lakes are roughly 7 miles long and sit in bowls surrounded by thick forests and the towering mountains of the Livingston Range. The entrance is open 24 hours a day all year around but closed to vehicular traffic from mid October to mid May depending on snow cover. Our favorite areas of Glacier Park are accessed through the Polebridge Entrance. The main entrance on the east side of Glacier National Park is the Saint Mary Entrance. This entrance is open 24 hours a day all year around but only open to vehicular traffic from about mid May through mid October depending on snow cover. 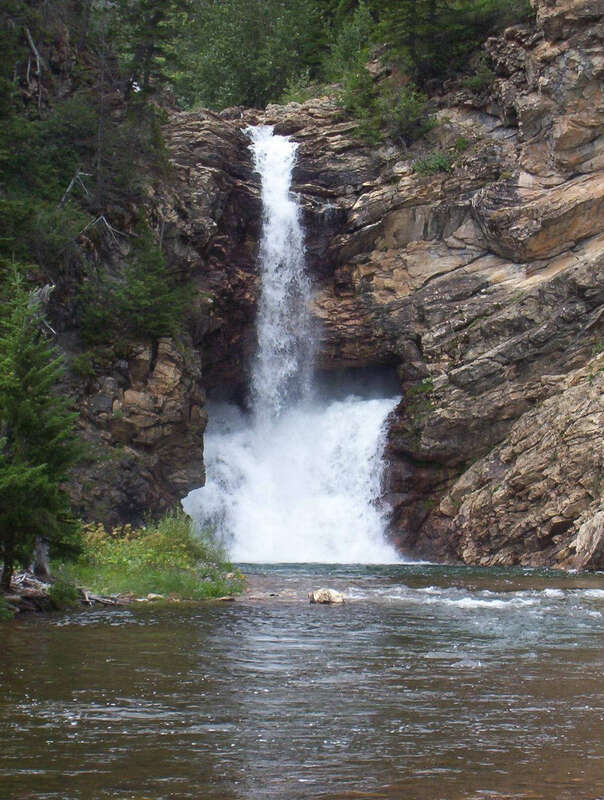 To access this Glacier Park Entrance, you will travel north on Hwy 89 for 30 miles from Browning, MT to the town of Saint Mary, MT, the entrance is located just west of Saint Mary. This entrance allows you to access the Going-To-The-Sun Road from the east side of Glacier Park. Saint Mary Lake is just inside this entrance – the 2nd largest glacial lake in Glacier Park. You can also visit the Saint Mary Visitor Center at this gate. This particular visitor center and gate entrance were completed in 1967 using common Mission 66 themes such as native stones. A popular hike near this entrance is Saint Mary Falls/Virginia Falls. 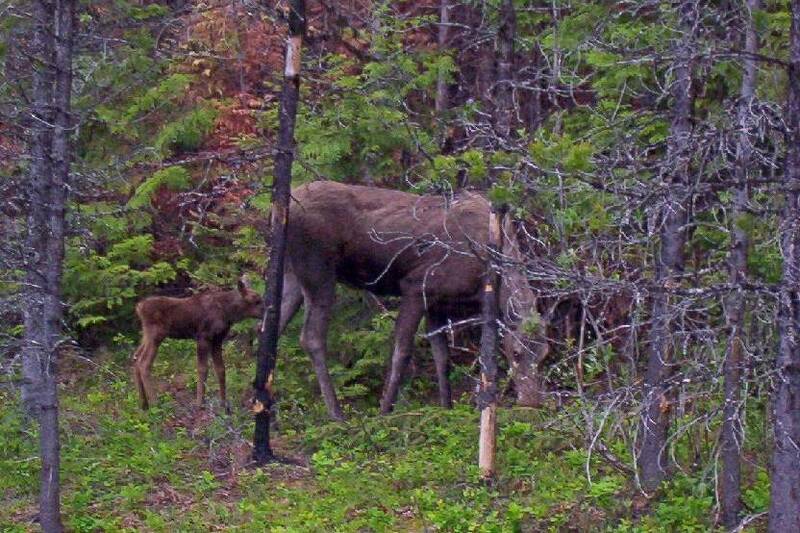 The Two Medicine Entrance is located just a few miles north of East Glacier, MT on the east side of Glacier Park. To access this entrance, take Hwy 49 north out of East Glacier for roughly 4 miles before turning onto Two Medicine Road. You can access this area of Glacier National Park 24 hours a day all year around but from mid October to mid May, Two Medicine Road will not be open to vehicular traffic due to snow cover. 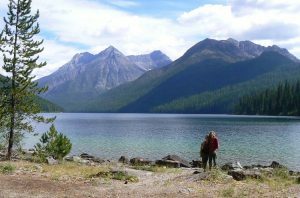 Two Medicine Lake and Upper Two Medicine Lake are beautiful glacial lakes that can be accessed from this entrance. These lakes are surrounded by towering mountains in the Lewis & Clark Range. Another unique attraction accessible from this entrance is Running Eagle Falls – which was once called Trick Falls. A barrier free trail takes you to these falls and once you see them you’ll understand why it was called Trick Falls. Another unique area on the east side of Glacier National Park is accessed from the Many Glacier Entrance. The most notable landmark in this area is the Many Glacier Hotel – one of the old historic hotels built by the railroad in the early 1900’s. From this entrance, you would access the trail leading to a very picturesque mountain lake called Iceberg Lake. This entrance can be accessed by traveling north on Hwy 89 for 35 miles from Browning, MT, through Saint Mary, MT, and up to the community of Babb, MT. At Babb, you would turn left onto Glacier Route Three and travel for roughly 8 miles before reaching the Many Glacier Entrance. Even though there is no restriction on accessing the Many Glacier Entrance, it would be difficult to access from about mid October through mid May as they do not plow the snow on Glacier Route Three. Of all the Glacier National Park Entrances, the Cut Bank entrance is the least known and least used. Access to this entrance is on Cut Bank Creek Road – a 5 mile dirt road – off Hwy 89, roughly 18 miles north of Browning, MT. From this entrance there is a primitive campground, day hikes, and access to backcountry trails. 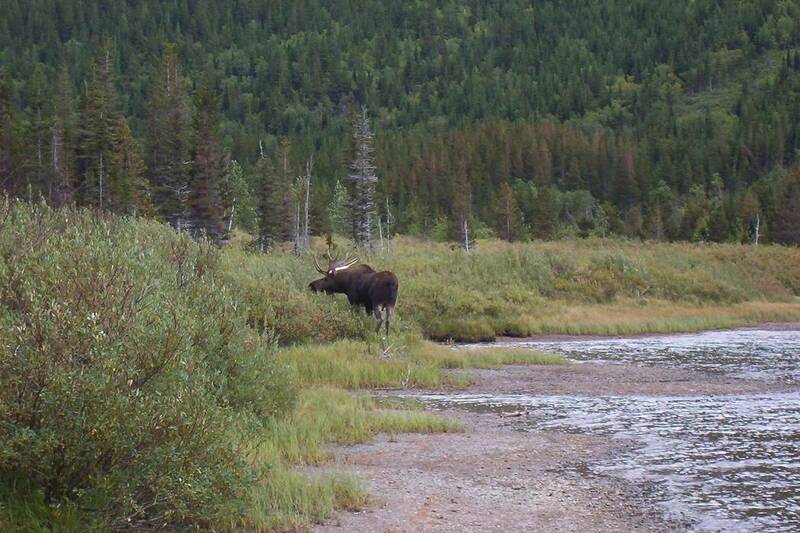 There are only 14 campsites in this campground so it’s a great place to camp when you want privacy, peace, and quiet. No vehicular access to this entrance is available from about mid October through mid May due to snow cover. Each of these Glacier National Park Entrances offers access to unique scenery and attractions. After spending over 20 years hiking and exploring Glacier National Park, we’ve enjoyed aspects of all of them.